There are mornings when I wake up with the thought of eating something different than a traditional Italian breakfast. Of course a latte macchiato and a croissant are always a good way to start the day. Or a cup o green tea and two fette biscottate with butter and marmalade. But as I’ve said, there are those days where you fancy something else. Some sort of a comfort food. And if you wake up late a sort of brunch would be great. 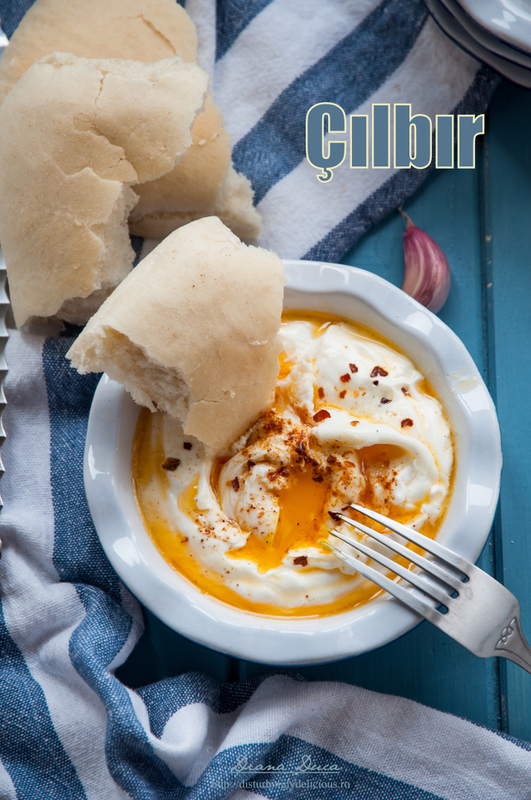 Today is one of those days and considering that this month The Food Connection initiated by the awesome girls at Savori Urbane takes us to Turkey, the Turkish cuisine being hosted by Simplu si Bun, I decided to have a Turkish dish for brunch – Çılbır. And so, poached eggs, garlic yogurt and freshly baked bread made my day. 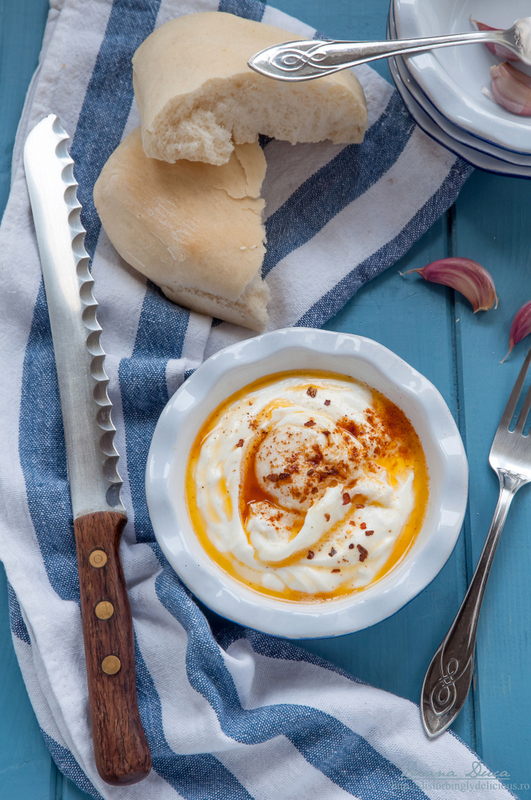 Stir yogurt with salt, pepper and garlic and divide it intro two dishes. Crack the eggs in two cups. Pour water into a medium size pot and bring it to a light simmer over medium heat. Add a pinch of salt and the vinegar. Swirl water with a spotted spoon to create some sort of a whirlpool and tip slowly the eggs into the water. Poach for 3 - 4 ' ( it depends on how big the eggs are) and transfer them on paper towels. Put the eggs on top of the yogurt. Heat butter in a small pan. Add paprika, salt, pepper and peperoncino flakes and pour it over the eggs and yogurt. Serve with warm or toasted bread. Make sure the eggs are fresh. The water should not boil. 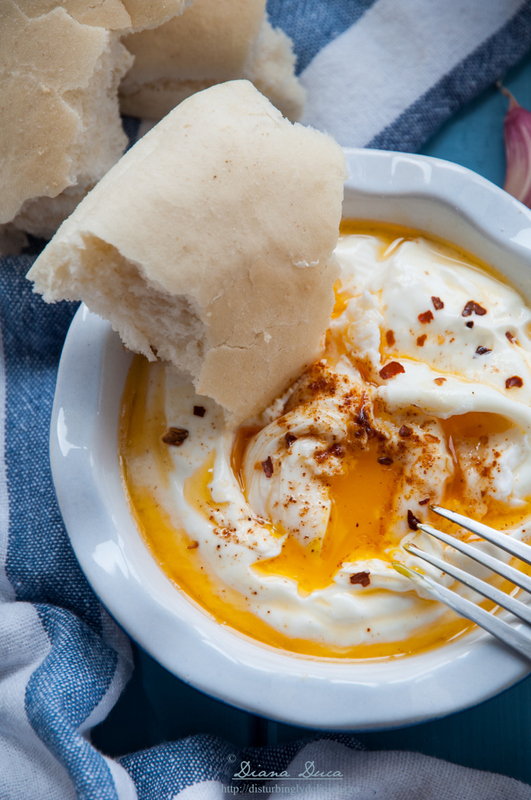 If you love poached eggs and you’ve never tried this yet, you definitely have to. At the beginning I was kind of intrigued by the combination itself because I didn’t know how well poached eggs and yogurt can match. But now that I’ve tried Çılbır, it definetly became one of my fav dish. The perfect dish to sop up with warm bread. Oana, sincera sa fiu nu ma asteptam nici eu sa fie asa bun!!! Am presarat si sumac la final si a mers foarte bine. Ce coincidenta, ca sa zic asa :). Reteta asta sta de mult la mine pe lista de asteptare. Am dat intamplator de Cilbir si m-a tentat din prima, adica e genul ala ca esti sigur ca-ti va placea. Am salivat destul. Sper ca vara asta sa reusesc si eu.